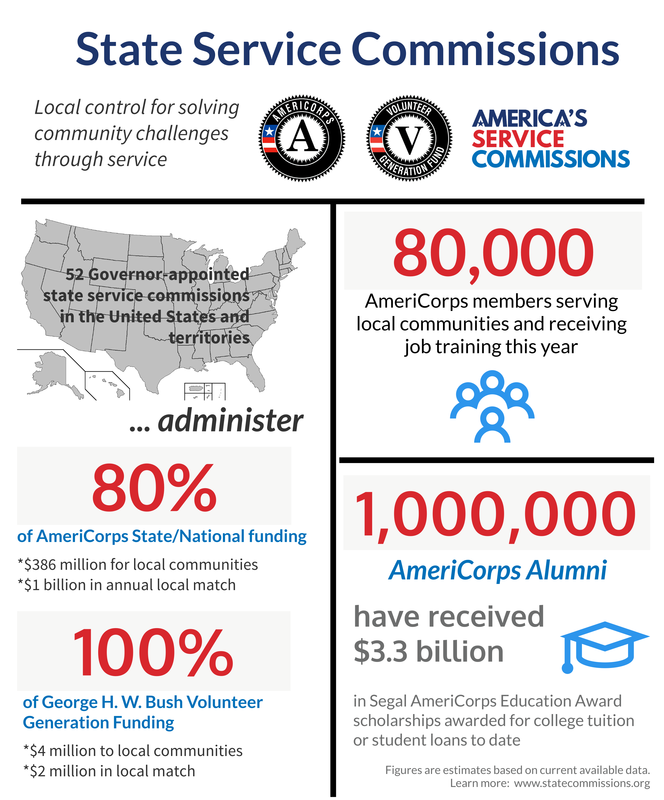 Since the program’s founding in 1994, more than 1 million AmeriCorps members have contributed more than 1 billion hours in service across America while tackling pressing problems and mobilizing millions of volunteers for the organizations they serve. AmeriCorps State supports a wide range of local service programs that engage thousands of Americans in intensive community service each year. We provide grants to a network of local and national organizations and agencies committed to using national service to address critical community needs in education, public safety, health, and the environment. Full-time AmeriCorps State and National members are given a living allowance; health care; childcare if they qualify; and become eligible for the Segal AmeriCorps Education Award upon successful completion of the program. Find an AmeriCorps State program in the map below. Program data is current as of 2016-2017. Some states show site data, while others have data for program headquarters only. Use the +/- to zoom in/out. Click here to open the map in its own browser window.